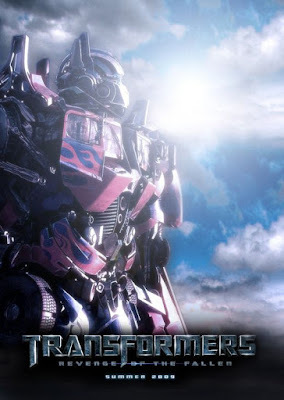 • This is my live text blog from the 4:30 EST premeir of Transformers 2: Revenge Of The Fallen. My next few posts will be coming straight from the movie theater ... during the movie. I'm in the back row with my son with tap sounds on mute ... No one near us so I doubt I'm bothering anybody. • My son & I found a nickel in one of the video games in the lobby before we came in. He says to tell my "website weeders" hello. • Wow ... on the effects in the first 5 minutes. I love Optimus Prime's voice. He's so cool. • Noticed a Cloverfield poster in a dorm room ... Had a "metoo moment"
• Deep Roy is in this and Bushemi is doing a voice ... Are they in more movies than Samuel Jackson? • Well ... Movie's over ... Liveblogging experiment accomplished ... I just like trying new things every now and then ... I wanted to see this movie, but my son REALLY wanted to see it ... His birthday is tomorrow. One of the reasons this "blogging from the theater" was so easy is because he's so well behaved. I can't say that for other kids that were there (same age, younger, and older) Going to movies nowadays is an almost miserable experience. It's one of the reasons I don't do premeire movie reviews any more ... a lot of my reviews come weeks later when theaters aren't crowded or months later when I can watch it on DVD. More tomorrow ... I'll combine all of these posts and give a more thorough review.